Important Notice:Post on a wall required to submit your app on Facebook developers api Facebook Voucher Generator App is a very sophisticated application for auto-generation of Voucher. User can download voucher using Facebook login. 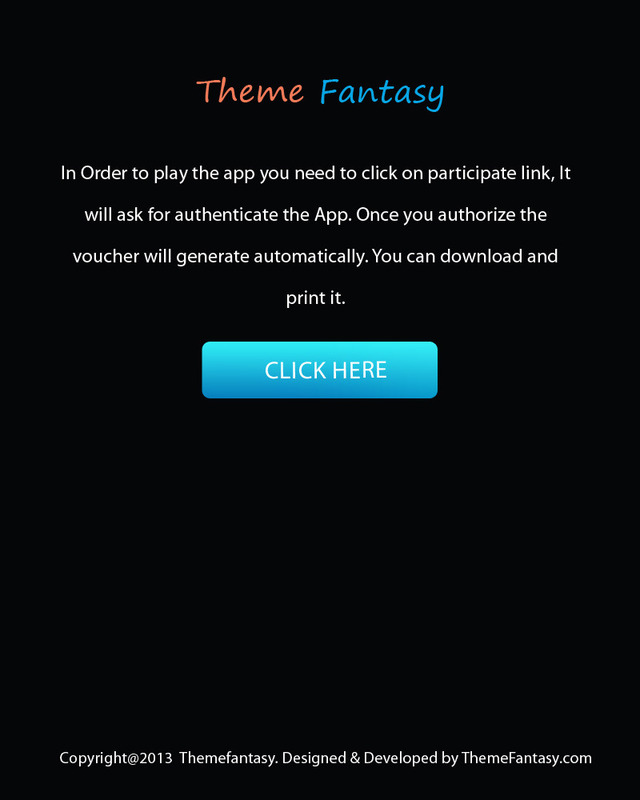 Once the user logged in and authenticate the app the voucher will automatically appear. User can download and print it. 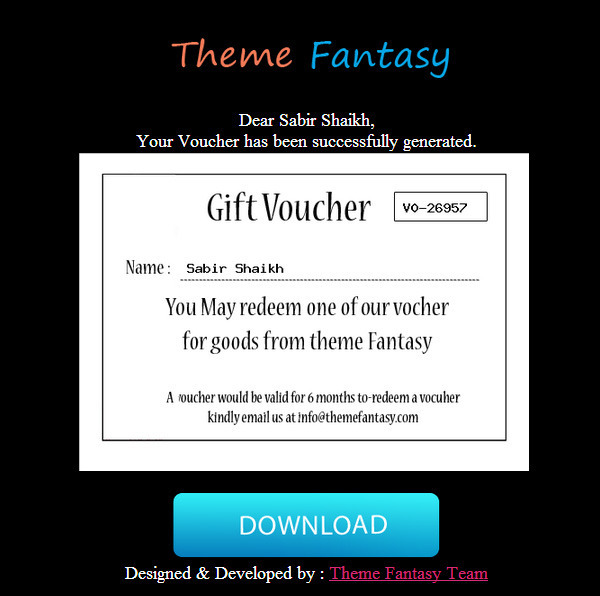 http://themefantasy.com/facebook/ Fasted and easy way to create Facebook Voucher Generator Apps. The application complies with all Facebook terms and conditions. It is possible to determine how many Voucher has been downloaded. No MySql or coding required. A message on the Facebook wall also appears for everyone who has downloaded the Voucher. With this feature, the contest promotes itself.